Welcome to our Pokemon Quest Cooking Recipes List, to get pokemon to appear you need to create/cook dishes. Using this Pokemon Quest Recipes Guide you can attract electric, fire and even water type pokemon. The better the Cooking Recipes and the better the Pot, the higher level of pokemon you can receive. 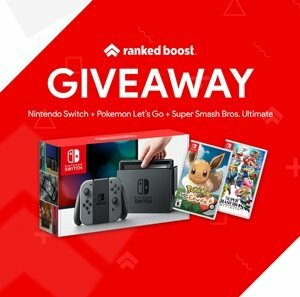 This will make reaching the Level you need to Evolve Pokemon much easier. We also made a Quick Navigation below to help you find the recipe type you need faster. The Higher Quality the Pokemon Quest Recipes the rarer of a pokemon will appear. 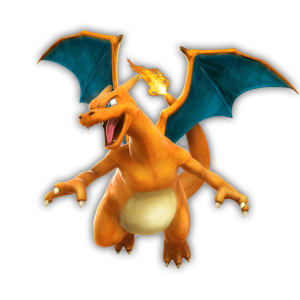 Have a look at our Pokemon Quest Tier List for the Best. What levels all pokemon will Evolve at can be found here. 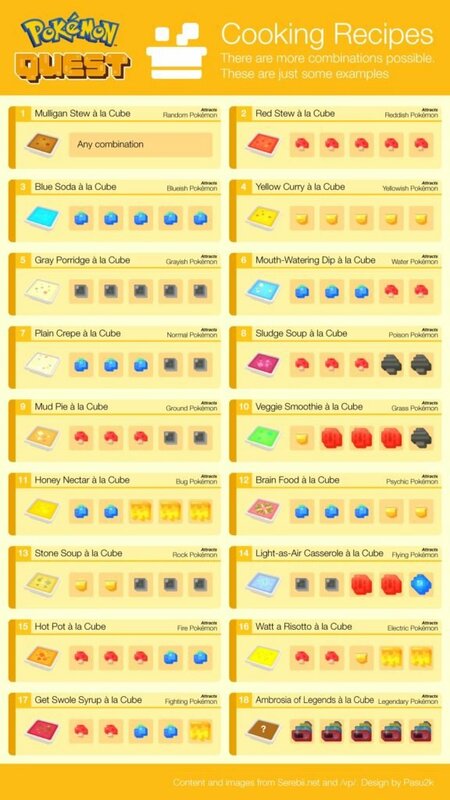 These will be the items you use in the Pokemon Quest Cooking Recipes listed above. Tiny Mushroom Soft and small ingredients. Bluk Berry Soft and small ingredients. Icy Rock Hard and precious ingredients. Apricorn Hard and small ingredients. Honey Soft and precious ingredients. Fossil Hard and small ingredients. Balm Mushroom Soft and precious ingredients. Rainbow Matter Very precious ingredients that can substitute for any other ingredients. Have a look at our power stone guide.